A glazed ceramic red keepsake ornament with tree decor. 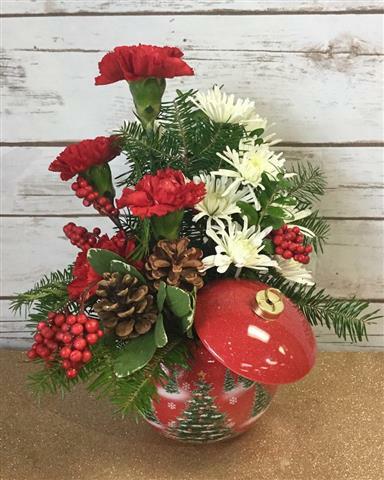 Flowers of Red Carnations, white novelty chrysanthemums, balsam, boxwood, faux berry, and rustic pinecones. A gift they'll treasure forever and can bring out year after year. Colors & Varieties May Vary.